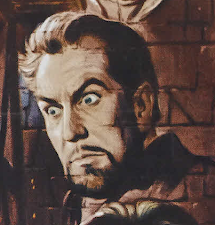 Dr. Gangrene's Mad Blog: Rondo Awards are in! 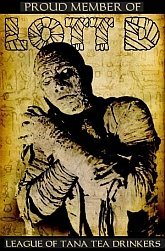 The winners for the 2011 Rondo Awards were announced last night and once again it was a really terrific year of awards. I know it may sound corny, but it is an honor to be nominated. I was nominated for three awards – Best Website, Best Fan Event, and Favorite Horror Host. That is so cool that someone else thought enough of my work to nominate it for an award. In the past I’ve compared the Rondos to the Oscar Awards – in truth they’re actually closer to the People’s Choice Awards. Fan nominated and Fan voted. And in reality, I’m a fan myself, so it thrills me to see people like Roger Koch win best Fan Artist, Terror from the Daves win best Blog (great guys who update daily on horror host activity – very cool), Tom Berdinski win Best Short Film for his GIANT RUBBER MONSTER MOVIE, or even Elvira win Favorite Horror Host. The woman has been hosting for decades on a national network and is a Halloween icon. 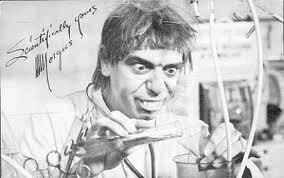 And most of all I was proud to see MORGUS THE MAGNIFICENT inducted into the Rondo Award Hall of Fame. I really campaigned for him to win, singing his praises left and right. He is a national legend of horror hosts and more than deserving. He goes into the Hall of Fame with fellow horror host legends Vampira, Zacherley, Ghoulardi, and Sammy Terry. Pretty impressive list of hosts. So thanks again to Dave Colton, the Rondo board, and most of all everyone who voted for me in the awards. Look forward to seeing the winners at Wonderfest this May, and here’s to another successful season of Rondo Awards – Long Live the Rondos!